BJP President Amit Shah on Friday slammed Pakistan Prime Minister Imran Khan for not condemning the Pulwama terror attack and said how could India trust him. 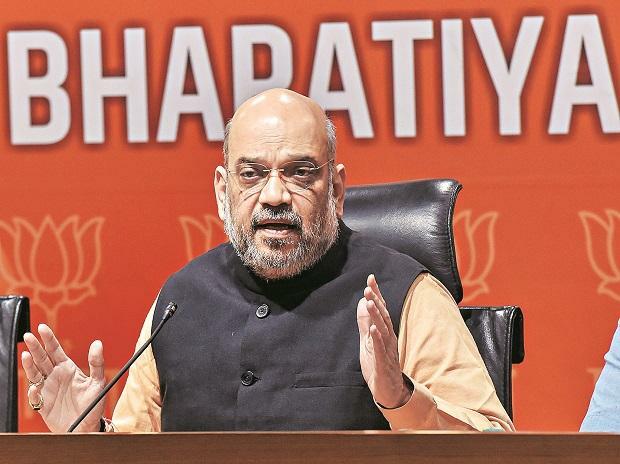 Speaking at the India Today Conclave, Shah said the Modi government has been able to create "fear" in the minds of those behind terrorism with its action against Pakistan-based terrorists. "I believe the track record of our government has been the best in dealing with terror since Independence... The maximum number of terrorists have been eliminated under BJP government led by Modi," he said. Shah questioned the Pakistan Prime Minister's silence on the Pulwama attack. "The Pakistan PM should have at least criticised the Pulwama attacks, at least once. How can we expect anything from him, or trust him. Maybe the situation is not in his control. At least he could have done lip service," he said. 40 CRPF personnel were killed on February 14 in Jammu and Kashmir's Pulwama district when a Jaish-e-Mohammed terrorist rammed an explosive-laden vehicle into a bus carrying security forces.